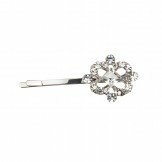 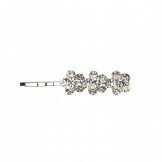 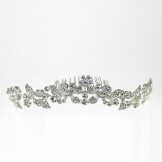 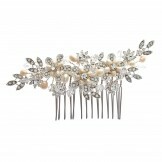 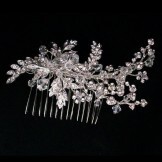 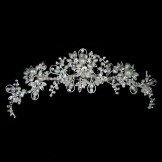 If a traditional tiara is not your style, then bridal hair combs are a wonderful way to add adornment to your hair. 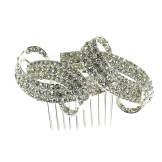 In differing sizes, a bridal hair combs will give you the flexibility of placing the embellishment exactly where you want it, so they are ideal for any bridal hairstyle! 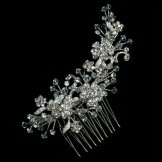 Combs are wonderful for bridal hair as well as for bridesmaids, flower girls and prom wear and whether embellished with Swarovski crystals, Freshwater pearls, diamantes or feathers, here you will find the right bridal hair combs for your special occasion. 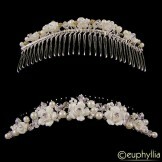 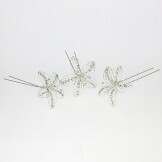 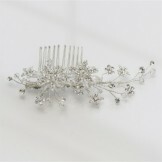 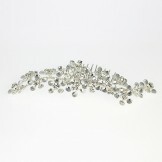 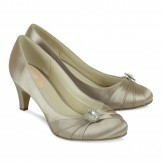 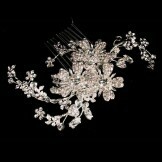 Look out also for the beautiful range of bridal combs with attached veils.